Next are the official clothing and homeware sponsor of the London 2012 Olympic Games and have a fab range of clothing and merchandise as you will have already seen featured in my Flying the Flag – Red, White and Blue Crazy post. The scarf comes in two different styles. The one I was sent (see image above) has been designed with the concept of “Ice in your mind, fire in your belly” It features a hand painted lion as a visual reflection of a quote that describes the sheer courage, talent and determination of our Great British Athletes. If you look closely you’ll also see there are 60 hands to symbolise the athletes’ sixty million supporters and the map of Great Britain. It is available in two different sizes, small (50cm x 50cm) priced at £5- which is what I was sent, and large (90 cm x 90cm), priced at £10. If you opt for the larger scarf you could also wear it as a belt , a top or a sarong but I’m afraid mine didn’t quite stretch that far so here’s one modelled by a much slimmer lady! All profits from the sale of these items will be donated to the British Olympic Association – helping British Olympic and Paralympic athletes deliver their best performance at London 2012 and beyond. So why not pop along to your local Next store or hop online and grab your scarf to show your support too! 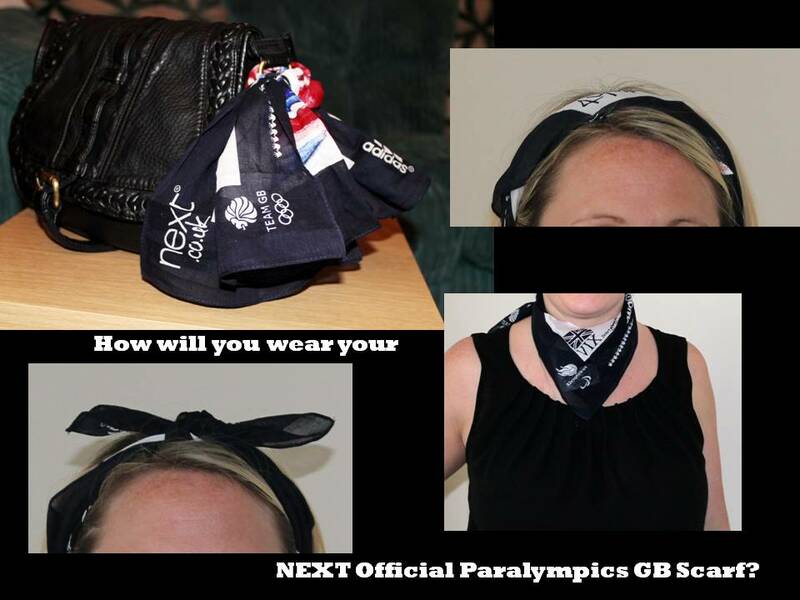 Disclaimer – I was sent the scarf by Next Bloggers Network as part of their campaign / competition. This is not a paid for post.